Event Description : MUSIC : SNS Live : Big Bang Blues live. Founded in 2009, the famous six piece band is known for their performances in Blues-Rock and 60s and 70s Rock & Roll. 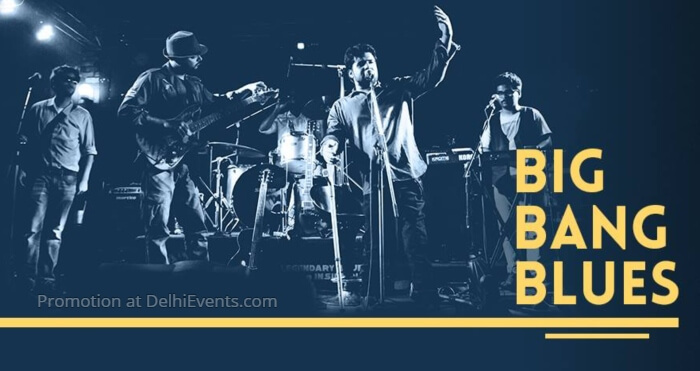 The band has toured regularly playing at various reputed venues across the country, has performed at various festivals like Kasauli Rhythm and Blues, Aquajam, Escape festival including the prestigious ones like Cotai Jazz & Blues fest, Mahindra blues festival, Simply the blues, etc. The band has released four singles across the last 2 years some of which have been featured by magazines like the Rolling stone, Rock street Journal magazine, what’s the scene etc. So if you are a blues fan that go from Electric Blues to Blues Rock to southern rock and 60s and 70s Rock & Roll, then this isn’t to be missed.